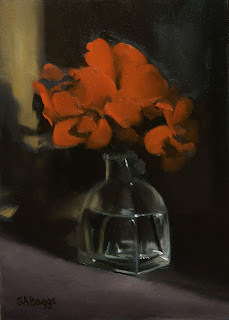 These are red geraniums in a small glass vase. I really like painting these flowers, and painting glass. So this painting combined two of my favorite things to paint. I hope that you enjoy it!